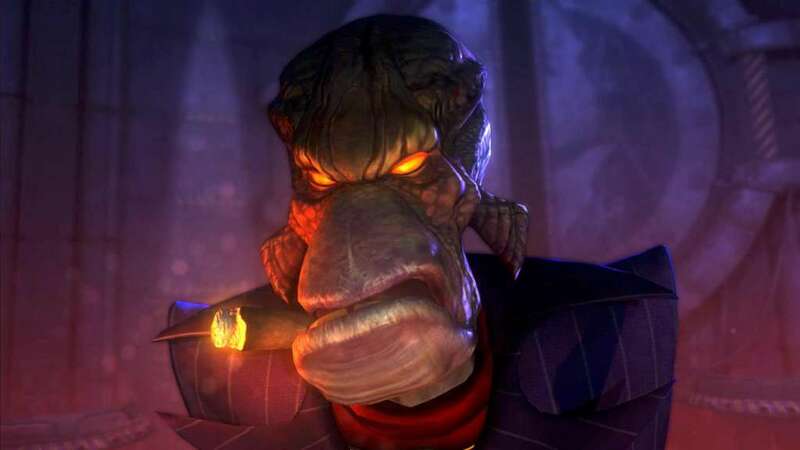 Explore ancient ruins, dodge carnivorous beasts and avoid trigger-happy guards as Abe, the original Oddworld hero in this lovingly recrafted take on the classic adventure "Abe's Oddysee". 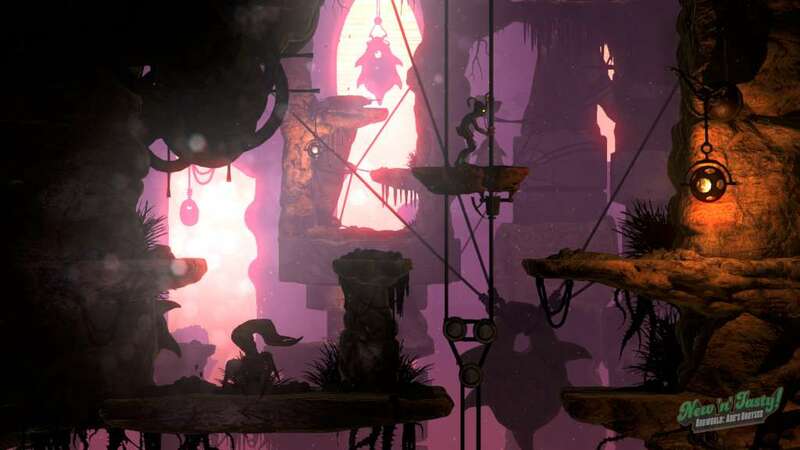 Amazing new graphics - With art direction from series creator Lorne Lanning, Oddworld: New 'n' Tasty offers a view into Oddworld with fidelity never seen before. 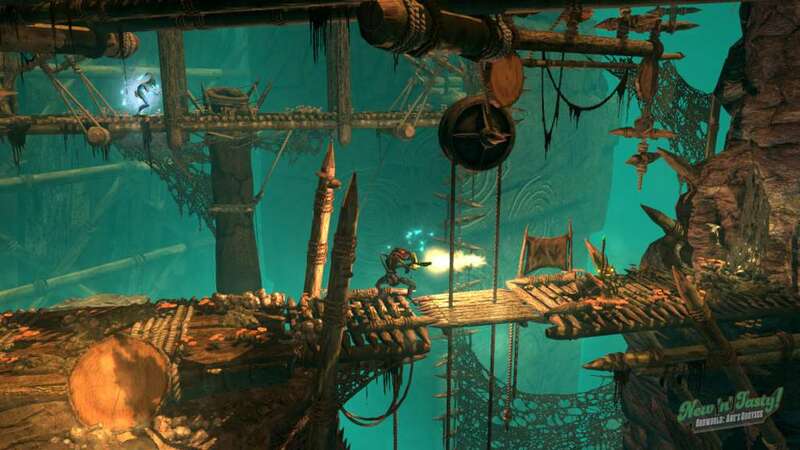 Fluid animation, new free-moving cameras and high resolution (up to 4K) visuals make RuptureFarms and the surrounding areas look incredible, creating the Oddworld that Lanning always wanted to see. 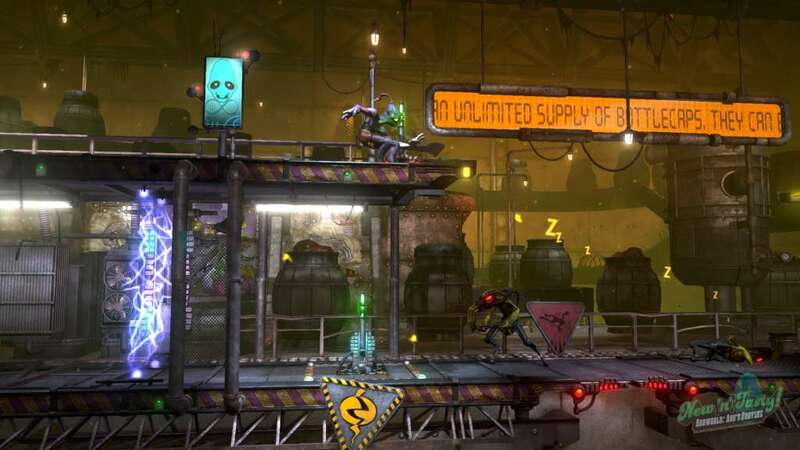 Revamped controls - Analog controls offer more subtle control over Abe, and new tricks like free aiming, the ability to drop grenades behind you and also sneak whilst crouching open up new avenues for stealthy tactics and inventive speed-running. 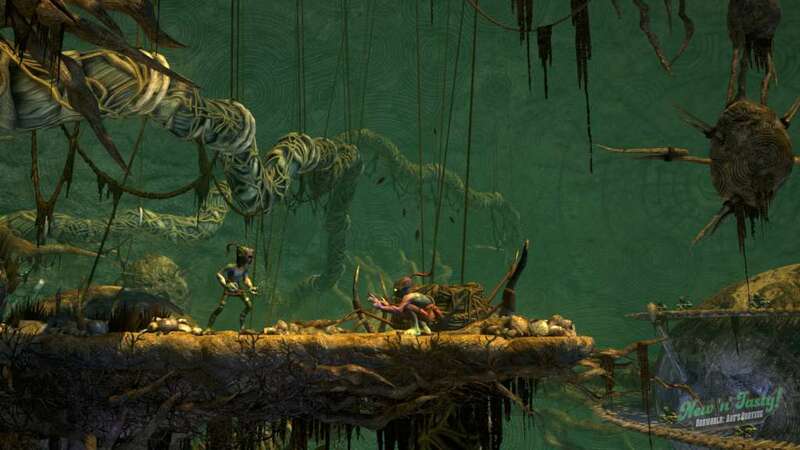 Optional 'Old School' controls bring back hopping and digital movement too, so the Oddysee purists can get started with some familiarity. 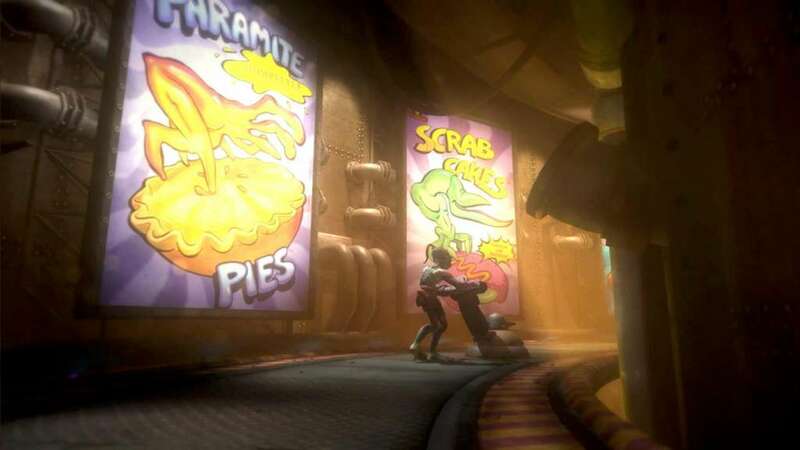 Brand new areas, brand new secrets - From the murky grime of RuptureFarms to the expansive native lands of the Monsaic Lines, through to the vast temples of Scrabania and Paramonia, Oddworld: New 'n' Tasty boasts new areas, subtle gameplay changes and a few surprises. Fans will recognise the huge meat grinders, Scrab holding pens and cavernous caves, but there's more than enough that's new here to keep you on your toes.